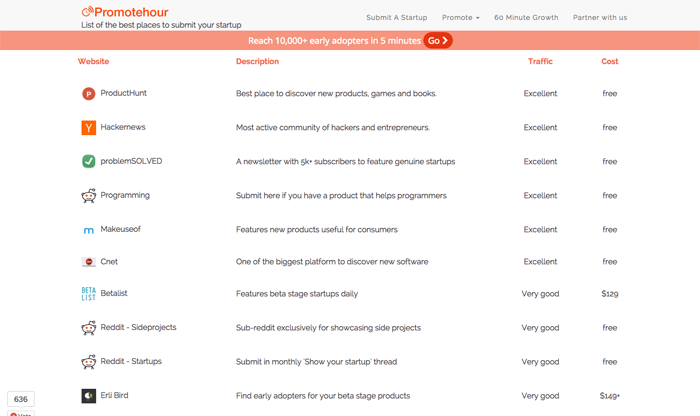 Description: A list of the best places to submit your startup, plus they have three different tiers of submission if you want them to save you hours of time by submitting to 30 or 50 directories. 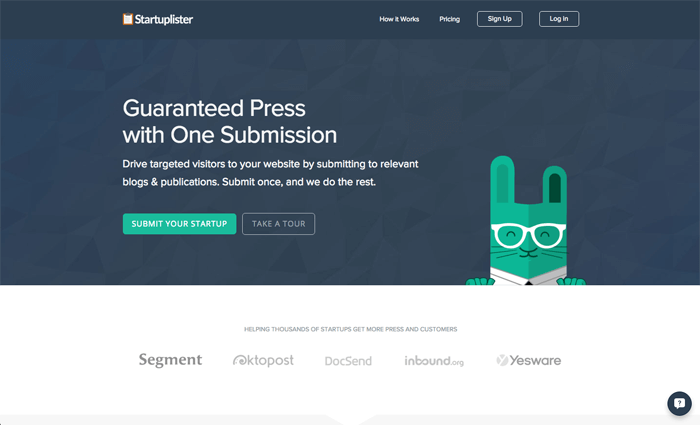 Description: Similar to PromoteHour, Startup Lister will submit your Startup to up to 100+ blogs, news outlets and start websites, and help get the word out. The big difference is that they're not just listing you in directories, but instead pitching you to news outlets as well.